4th Thursday of each month, March to November at the New Valley Rd. Park bldg. Recycling Dumpsters are located in the gravel parking lot beside the municipal building- 24 hours a day, 7 days a week "FOR RYE TWP RESIDENTS ONLY"
PLEASE DO NOT BRING HOME YOUR CARDBOARD FROM WORK. THIS IS FOR RESIDENTIAL RECYCLING ONLY. WE DO NOT HAVE THE CAPACITY. DO NOT LEAVE RECYCLABLES ON THE GROUND. IF THE BINS ARE FULL COME BACK IN A DAY OR TWO WHEN THEY ARE EMPTIED. THANK YOU! Rye Township kicks off spring in April with an Easter Egg Hunt in the Rye Township Community Park on New Valley Road. The hunt starts at 11:00 AM and is for children ages 10 and under. This annual event is sponsored by The Rye Township Parks and Recreation Board. The Parks and Recreation board provides various games and prizes and a visit from the Easter Bunny, goody bags filled with candy and party favor gifts and plastic eggs filled with candy. The hunt is divided into three age groups; 4 and under, 5-7,and 8-10. See the Calendar of Events if this event is scheduled for the current year. Junior anglers try their luck at our Annual Fishing Derby held at the Marysville Sportsmen's Association on Kings Highway in Marysville Borough in early May. Fishing starts at 9:00 AM and the last fish are pulled out at 10:30 AM. The event is for children ages 3 to 14 years old. Fun for the whole family! See the Calendar of Events for details. Rye Township sponsors a Spring Cleanup for Township Residents each Spring, in early May. This service is only for Township residents as part of their trash collection service. The stub from the most recent trash bill is required as proof of residency or a PA driver's license. A resident is permitted to bring ONE pick-up truck sized load to the rear of the Township Building for unloading into dumpsters. Four (4) car or truck tires per residence are also permitted. Refrigerators and freezers must have freon removed. NO hazardous materials are permitted such as turpentine, paint thinners, paint strippers and removers, varnishes, paints, drain cleaners, swimming pool chemicals, weed killers, pesticides, fuel additives, gasoline, kerosene, or anti-freeze. We ask that you separate larger bulk items such as washers, dryers, water heaters, etc., and place them so that they are easily accessible to facilitate unloading of these items into a separate dumpster for scrap iron. Join us in the Community Park and build your own ice cream sundae with delicious ice cream, tons of toppings and lots of fun! Held in August, this FREE event is sponsored by the Recreation Board. Rye Township celebrates fall each year with the Annual Apple Butter Boil. Held in October at the Community Park, this event is run by the Rye Township Community Association. Apple butter prepared in this event and apple cider is sold to raise funds for the Association; volunteer participation is welcome to assist with apple preparation and stirring the kettles throughout the day. See the Calendar of Events to check if this event is scheduled for the current year. Celebrate Halloween in Rye Township. Meet us in October in the Community Park for a haunted trail, hayrides, music, food, pumpkin decorating, bonfire, costume parade and judging. All ages are welcome and all activities are free. Rye Township designates the Township Trick or Treat night annually. We recommend that all children be accompanied by a parent, visit homes in their immediate neighborhood, wear flame proof costumes that are light colored and have reflective tape and carry a flashlight. Parents should check all food items before they are eaten. 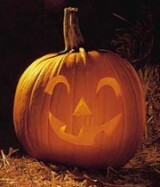 Check our Calendar of Events or call the Township office for Trick or Treat night information.